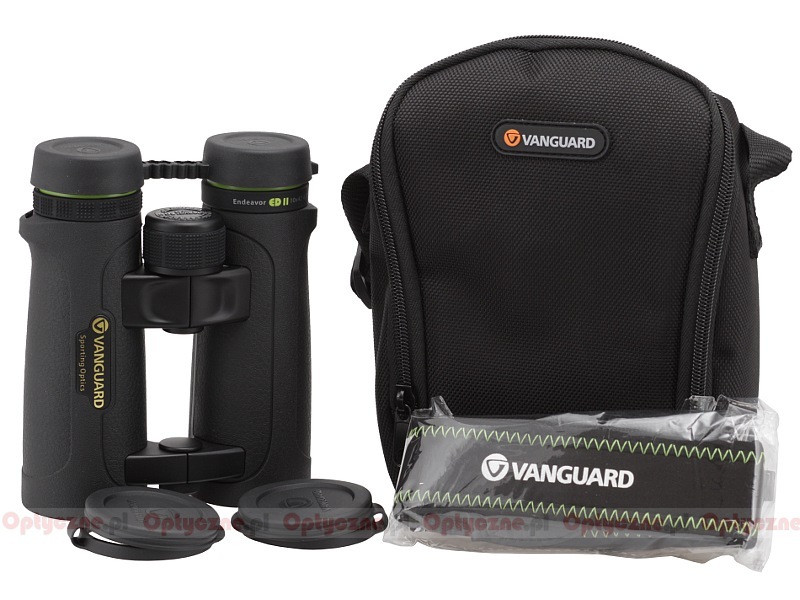 Vanguard Endeavor ED II 10x42 - binoculars specification - AllBinos.com . 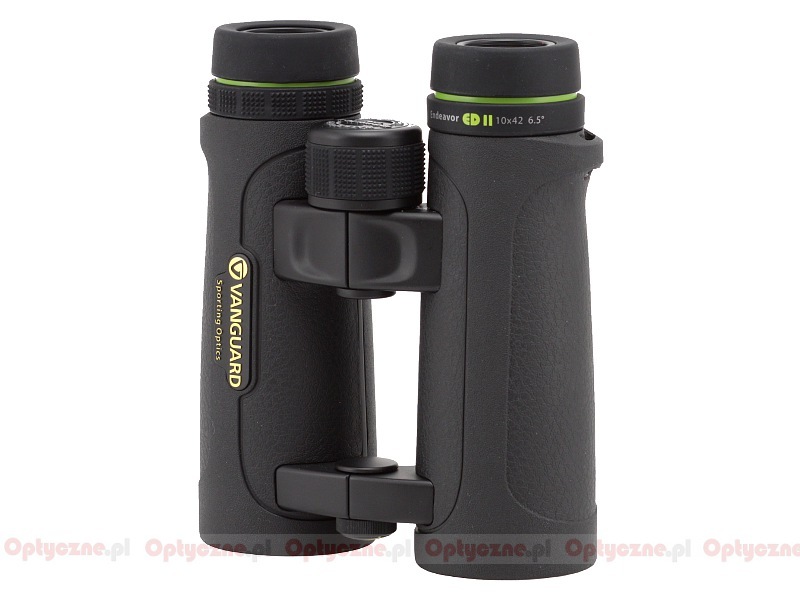 Pros: Truth is these binoculars are spectacular and clearly a top alpha binocular comparable or better than my Swarovski, Leica, Zeiss, Nikon HG and other glass in terms of the view presented. The price is achieved by having them assembled in China which shows only in one important regard: focusing is a bit spongy and stiff, but you don\'t have to do much of it because stop to stop takes so little turning. It is no Nikon HG in this regard, but neither are the Swarovski. You get used to it. The view is brilliant, contrasty, very sharp, wide angle and sharp edge to edge -- hard to beat. Indeed, dazzling and the price is a real delight as well. Cons: Heavy, slight chromatic aberration in center field, too small carry bag (fits too tight and awkward carry strap arrangement). 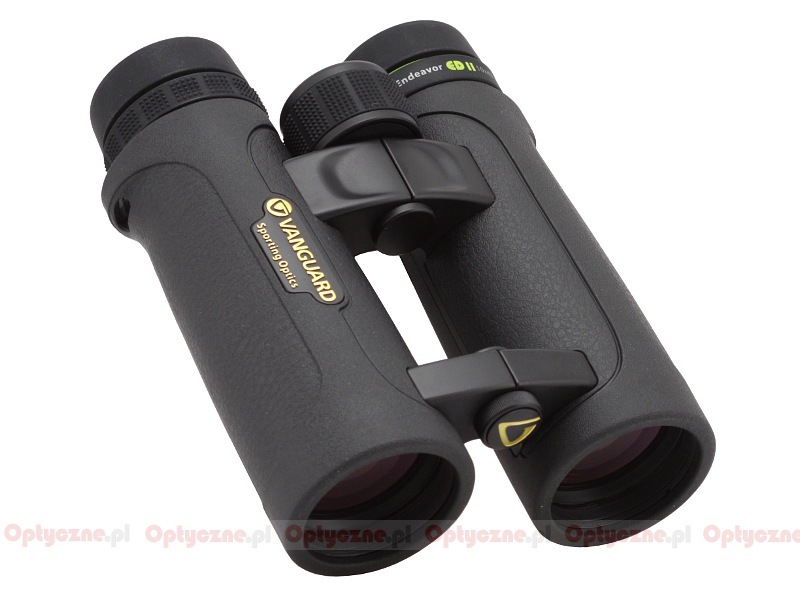 Pros: Clarity, low distortion, very big sweet spot, flat field, good FOV, slight yellow cast good for reducing blue light, close focus less than 2 meters, best in class eye relief, locking diopter adjustment. Bright viewing in normal daylight hours and good in dusk and dawn conditions in spite of lower transmission ratio as per Allbinos test. Very comfortable neck strap is a plus point. 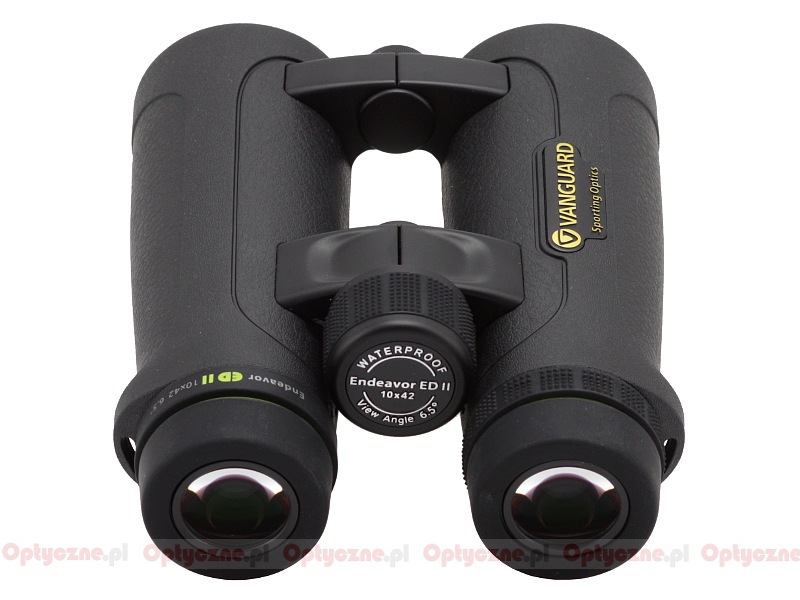 Summary: Massive value for money binos. Compared to Nikon Monarchs, Steiner, Kowa, Bushnells, low range Zeiss and Lynx. Should be market leader in its price range and likely to be as good as those that cost twice as much.